Take Your Email with You. Send quick updates. Sync calendars and so much more. From personal messages to business correspondence, email is a great way to stay connected. Do the basics. Send and receive emails — in so many styles. 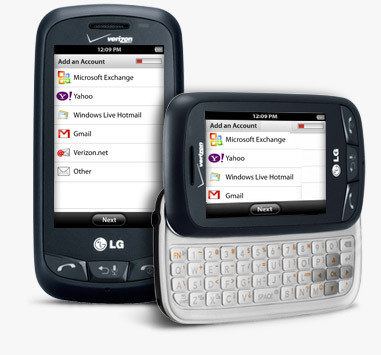 You can choose from devices with full-sized QWERTY keyboards or slider phones that slide out for easy typing, then slide back in when you're ready to go. Take email to the next level. Sync calendars and multiple webmail accounts. Share pictures and more. From touch screens to integrated keyboards, smartphones give you access to personal and business accounts with ease. Sync multiple webmail accounts and more. 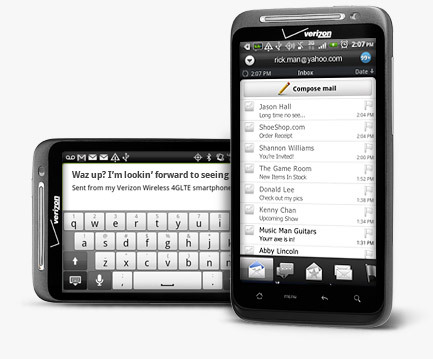 Smartphones are a fast and easy way to get your emails on-the-go. Email your boss, or stay connected to the office. Gmail and Exchange accounts can be synced right to your device. Morning meeting? Set up reminders and sync company calendars to your device, so you can make it on time. Automatically update your inbox every minute, if you like, or save battery power by syncing your device less frequently.